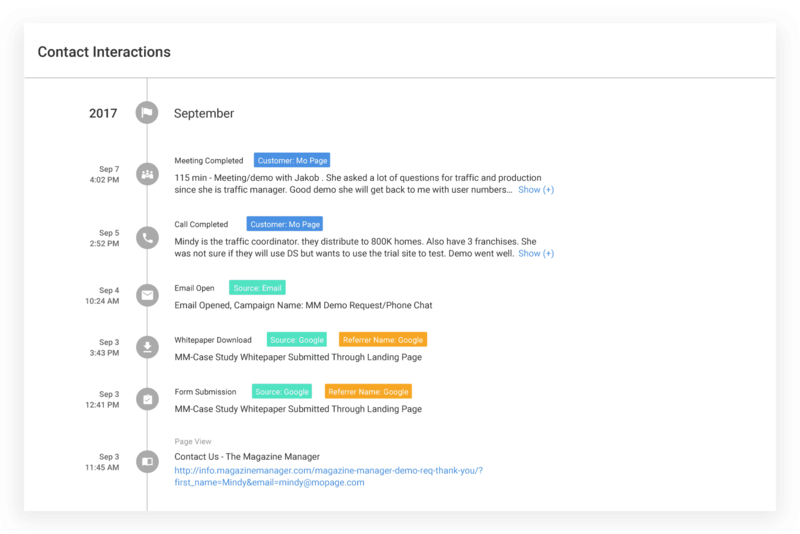 Any CRM will track activities of the past, but The Marketing Manager guides you forward. From client acquisition to customer retention, The Marketing Manager drives higher ROI throughout the Customer Journey. The Marketing Manager helps extract meaningful insights based on client & prospect data. Critical Data Makes a Pivotal Difference. Control the Conversation About Your Organization.